Game companies will need to be more vigilant. 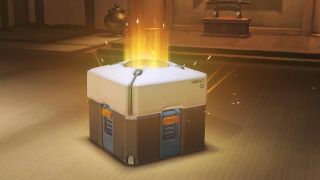 There’s been a lot of controversy surrounding loot boxes over the past year which led to Belgium's Gaming Commission deciding that loot boxes from some games violate their country's gambling regulations. This news comes directly from the 2018 Gambling Regulators European Forum, where representatives from the United Kingdom, France, Ireland, Spain, and one from Washington State have all signed the commission. "Unlicensed websites offering skins betting can pop up at any time and children could be gambling with money intended for computer game products," Neil McArthur, chief executive of the UK Gambling Commission has said. "We encourage video games companies to work with their gambling regulators and take action now to address those concerns to make sure that consumers, and particularly children, are protected."